Family Therapy Chicago: What Do I Do if My Child Has an Anxiety Disorder? 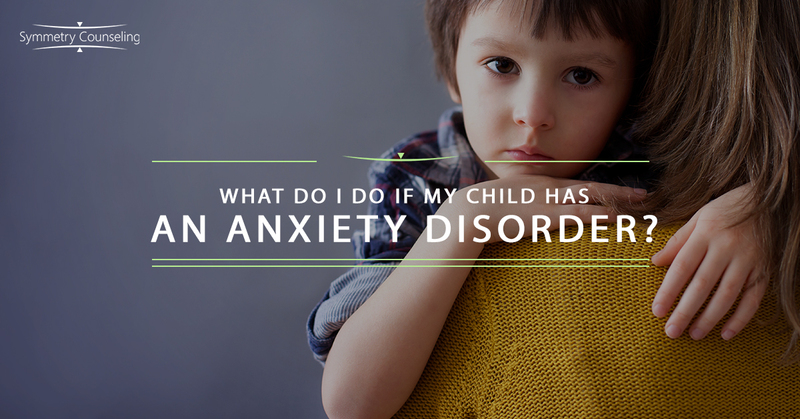 What Do I Do if My Child Has an Anxiety Disorder? I work with many clients who discuss feeling anxious due to a number of stressors, whether it be related to their professional or personal life. Some clients even discuss feeling worried or anxious related to noticing their children exhibiting symptoms of anxiety as well. I recently read an article from The New York Times that touched on this topic, “How to Help a Child with an Anxiety Disorder” by author Perri Klass, M.D. Dr. Klass discusses several key components to keep in mind when noticing symptoms of anxiety in your child. Below are the important things to do and not to do when noticing these symptoms with your child. Missed Diagnosed. Anxiety in children can appear differently in each child. Some children may be exhibiting behaviors related to their anxiety by acting especially shy and reserved, while others may be acting especially defiant/disobedient. Thus, with this wide range of behaviors, it can be challenging for parents to identify if their child is in fact experiencing anxiety or not. Not just a Phase. While it is normal for children to feel some symptoms of separation anxiety when their parents leave, if you start to notice that it affects your child’s day to day routines and overall happiness, this could actually be an anxiety disorder. Risks of Not Getting Treated. If children are experiencing anxiety, and it gets left untreated, it can make daily activities for the child much harder, such as going to school, sleeping in their own bed, which in result could then lead to many extra visits to the school nurse or doctor’s office. Gateway Disorder. When anxiety is not treated appropriately, it can lead to other mental health disorders, such as depression or panic disorder. The good news is, anxiety is one of the most treatable mental health disorders there is! Treatment. Both Cognitive Behavioral Therapy (CBT) and psychosocial interventions can be highly effective in decreasing the symptoms of anxiety. If the child does not respond to those treatments, some medications can be very effective as well. Sometimes doing both the treatment and medications can be helpful, but of course, it would be important to consult with both the child psychologist and psychiatrist before making that decision. Physical Illness Overlapping. There is a strong connection between our mind and body, especially with symptoms of anxiety. Some children have a harder time describing in words how they are feeling, and simply describe the physical symptoms of it, such as chronic stomach pains or chronic headaches. Many times, children experience anxiety when they are going to school, as going to school could be a big trigger for their anxiety, whether it be interacting with their peers or academic stressors. Behavioral Outburst. Some children turn into the “class clown” by telling jokes in class when feeling anxious, while other children may have a temper tantrum and start throwing their papers or books in the classroom, or perhaps even be especially quiet and not interacting with their peers or teachers. These could be ways the children are attempting to cope with their anxiety. Lean into the Anxiety. Many parents want to be “the fixers” when their child is experiencing anxiety. Jerry Bubrick, senior clinical psychologist at the anxiety disorders center of the Child Mind Institute, discusses that parents should be working with the child psychologist and their child. Slowly exposing and discussing the triggers or situations with the child, can be very effective for their treatment process. Through exposing the child to these triggers, it can help identify healthy and positive coping skills, as opposed to just fixing the problem. An extreme “fixer” might attempt to just home school the child, which unfortunately will not treat the anxiety. Unsure if your child has anxiety or not? Talk to a pediatrician, a child psychologist, their teacher, and be open minded. It would not be helpful as their parent to just avoid the problem. Remembering that anxiety is highly treatable with the right interventions, can also give you some peace of mind! If you are currently struggling with anxiety related to your child experiencing anxiety, it may be a good idea to connect with one of our skilled counselors at Symmetry Counseling today. You can contact them at 312-578-9990 to set up an appointment.